Welcome to the World of Plaster! Plaster, a dying art? NO! Seemingly replaced in the last few decades by drywall and reserved only for newly built upper end residential homes, hospitals, and government buildings, plaster is now experiencing a widespread rebirth. 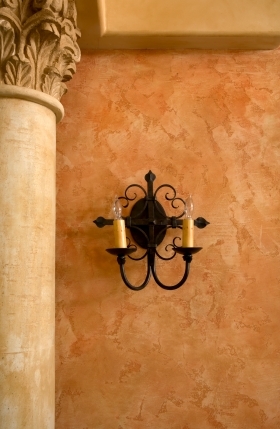 Remember that elegant foyer with the “old world” colored walls you admired in that interior design magazine? Yes, it was plaster. What about that new decorative ceiling your neighbors used to replace the old popcorn one? Also plaster! Plaster is everywhere you look these days. This resurgence is due to both the beautiful finish that plaster creates and a growing awareness of the value of using natural products. For example, one popular idea is to build “green homes” that are eco-friendly and healthy. Lime, gypsum, and cement are all natural compounds which endure over time, giving a building a long-lasting quality. Plaster walls, complete with frescoes or decorative moldings, loved and appreciated by the ancient Greeks and Egyptians, can still be found intact today. Of course, if you’ve reached this page, you probably already know a little of what plaster has to offer. This is your chance to discover even more! Whether you are a do-it-yourselfer or want to hire an experienced plasterer, this site will provide you with the information you need to obtain beautiful and unique plaster walls!